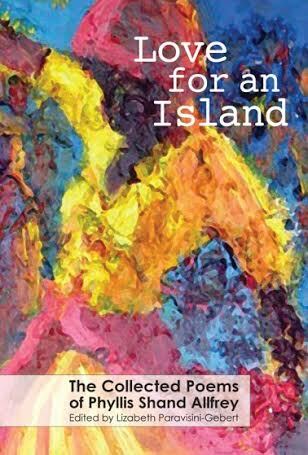 The publication of Love for an Island: the Collected Poems of Phyllis Shand Allfrey represents the first opportunity to sample the poetic output of the Dominican writer and politician, Phyllis Shand Allfrey. Some of her work has been out of print since 1940 and this volume brings together the four collections published in her lifetime, some unpublished poems and examples of her later satirical work as the editor of Dominica’s The Star newspaper. Love for an Island will be launched at the Alliance Française, Roseau (Dominica), on Thursday 9 January at 5.00pm. Professor Lisa Paravisini-Gebert, the editor of Love for an Island and Allfrey’s biographer (Phyllis Shand Allfrey: A Caribbean Life) will introduce Allfrey’s poetry while Dr Lennox Honychurch will give an overview of Allfrey’s political and literary career. Polly Pattullo, publisher of Papillote Press will also be present. Written over four decades, this collection reflects Allfrey’s personal circumstances of place and politics, both tropical and temperate. The earliest poems date from the 1930s after Allfrey had left Dominica, first for the United States and then London – the temperate period, as she described it, of her writing career. In the UK, Allfrey became involved in left-wing and anti-colonial politics and such understandings are expressed in her poems. Later, on her return to the Caribbean and her years as a politician, her poetry rediscovers its tropical note. Poet, politician and novelist, Phyllis Shand Allfrey (1908-1986) was a white Dominican who defied her class and colour in her politics and her writing. Her famous novel, The Orchid House, was published in 1953. On returning to the Caribbean in 1954, she co-founded the Dominica Labour Party, Dominica’s first mass political party. She became a minister in the West Indies Federation. She died in Dominica in 1986.